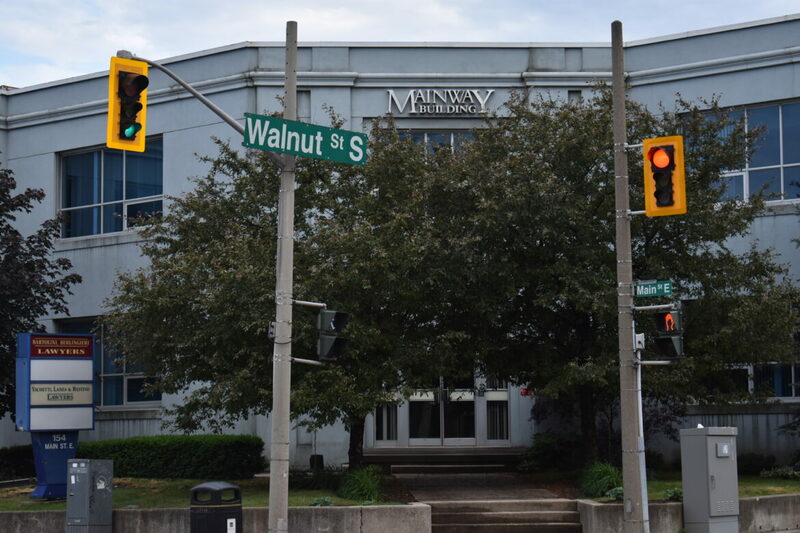 The owner of 154 Main Street East (SE corner of Walnut Street) is proposing a 16-storey residential building with a six-storey rear structure consisting of ground-level retail and five levels of parking. The plans are being reviewed by City staff, and the public meeting is yet to be scheduled. The owner’s planner and agent for the development is UrbanSolutions. UrbanSolutions regularly shares all project studies and documents on their website, UrbanShare.info, once the application is complete. A view of the rear portion of the proposed development at Main and Walnut. This parking lot is proposed to be replaced with a six-storey parking structure with retail on the ground level. The initial proposal is for 132 one bedroom units (smaller than 50m2), 9 larger one bedroom units, 56 two bedroom units, and 3 three bedroom units. 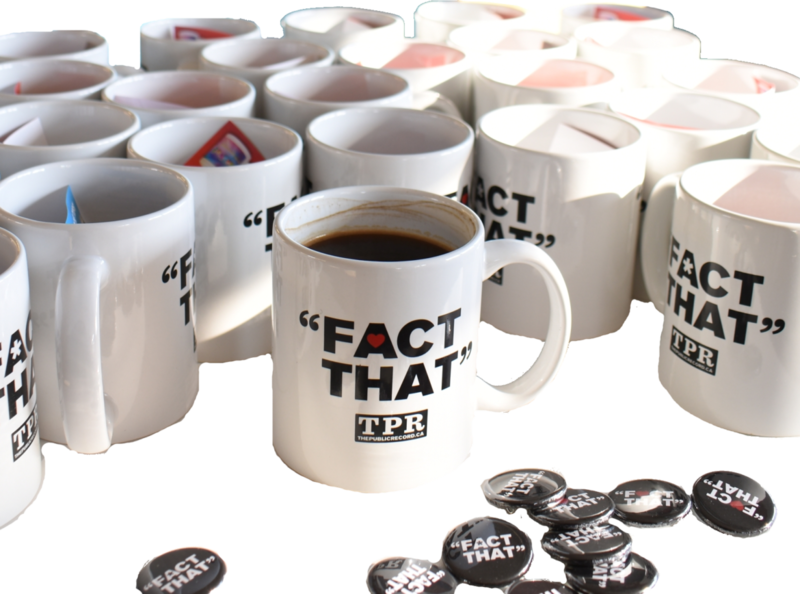 The first version of this paragraph wasn’t clear, and has been updated to clarify parking calcuations. I apologize for the confusion. 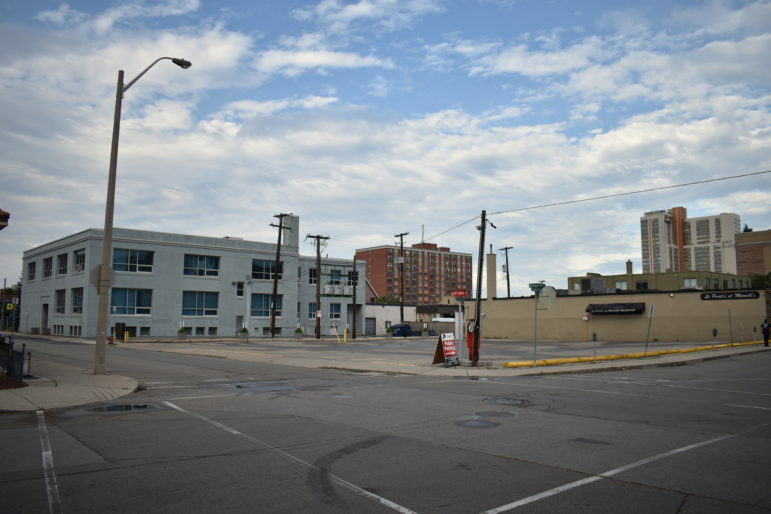 The developer will seek to take ownership of a public unassumed alleyway to connect the rear parking with the front residential building, and merge the two properties. The maximum height permitted on Main Street is presently 12-stories with Council approval. City Council has no firm policies requiring any public benefits from height. The City’s Public Health department, in written comments to the Planning department, requests staff request the developer to provide amenities to improve active transportation usage. Among the suggestions from the Active Friendly Communities manager is that the building enhance transit stops on the Main Street front with weather-protection. Separate from this application, Ward 2 neighbourhood associations have been discussing requesting that cash-in-lieu of parking paid to the City include a portion of funds to expand bike share. Officially (and staff went out of their way to state Council can waive), the building will need to step back from Main Street to provide for the widening of Main Street from its present five lanes to six. 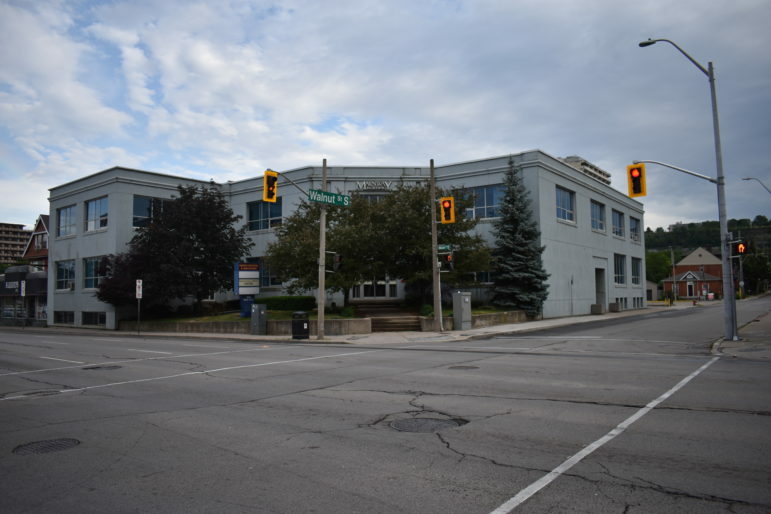 Council has waived road-widening elsewhere in the Downtown Core. Ward 2 Councillor Jason Farr says he expects Council will waive the requirement on this development. “This will be the sixth waiver we’ve approved as a Council”. Regarding his views on the development proposal, Farr says he is awaiting the full staff review of the application and public consultation process before making his determination. 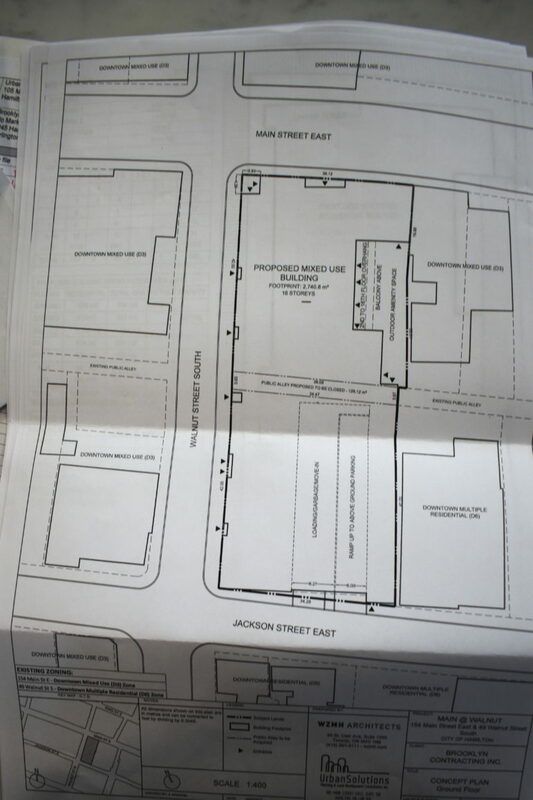 The plans for 154 Main Street East, showing the outline of the proposed 16-storey building, and six-storey rear parking structure.